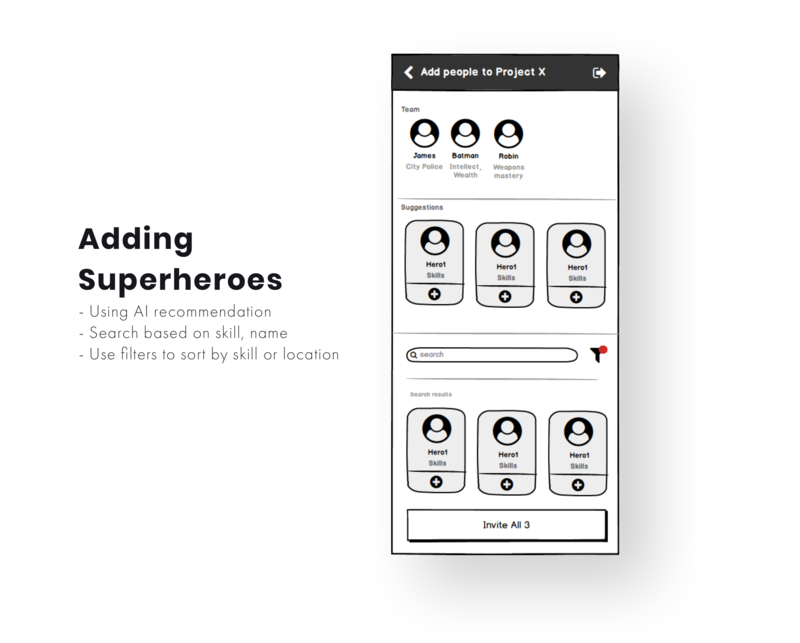 During Spring 2018 I had a chance to interview for Intuit’s Product Design Internship. 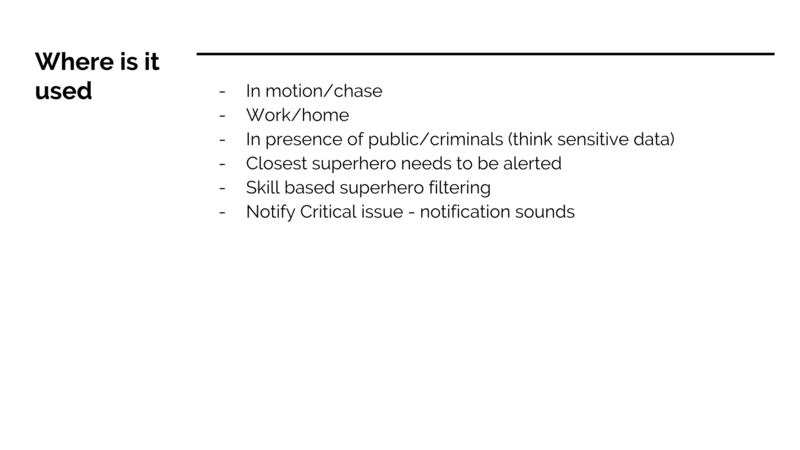 One of the rounds was a design challenge which I had a lot of fun doing! 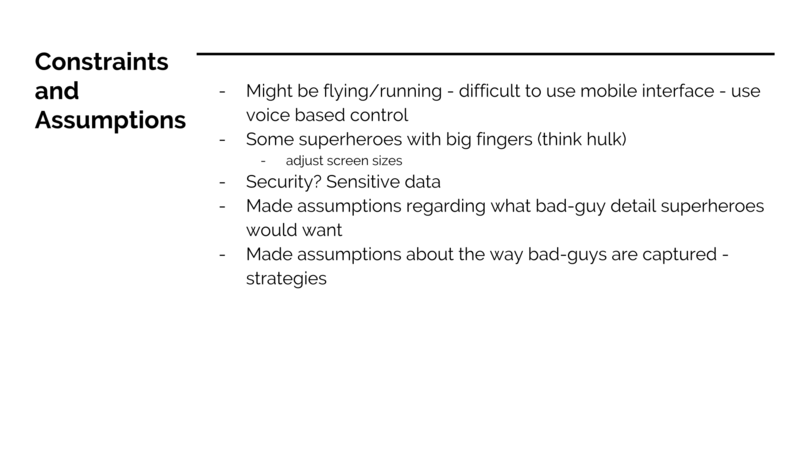 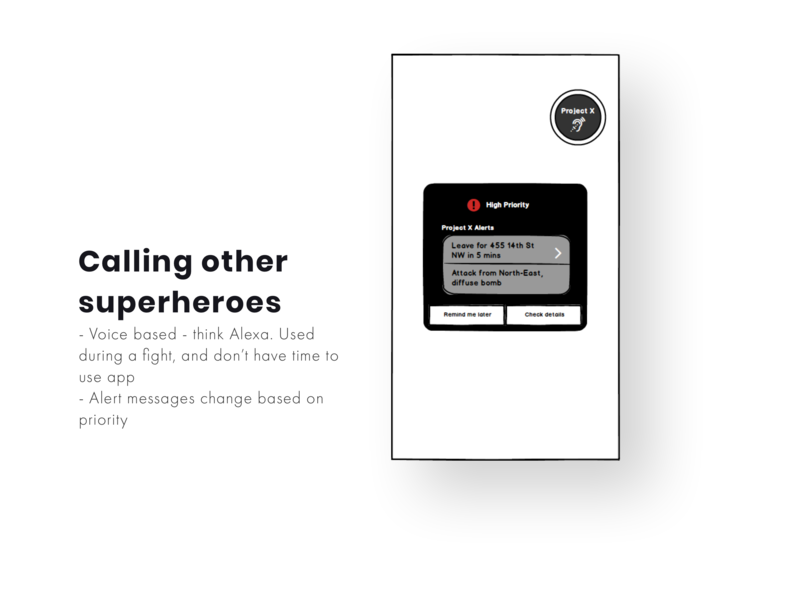 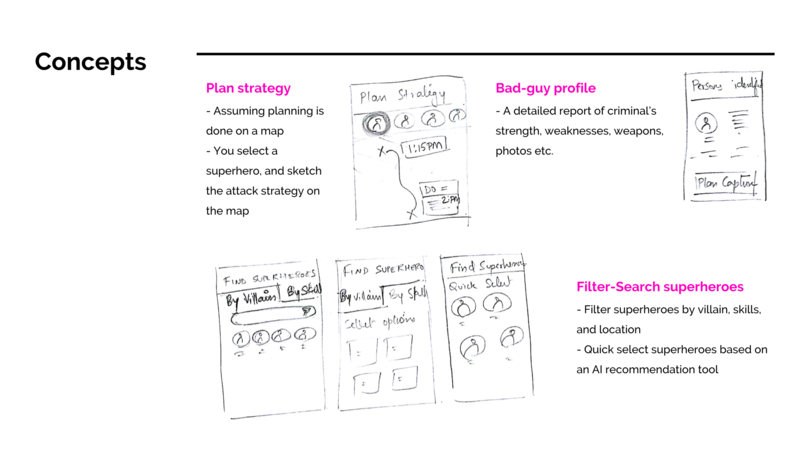 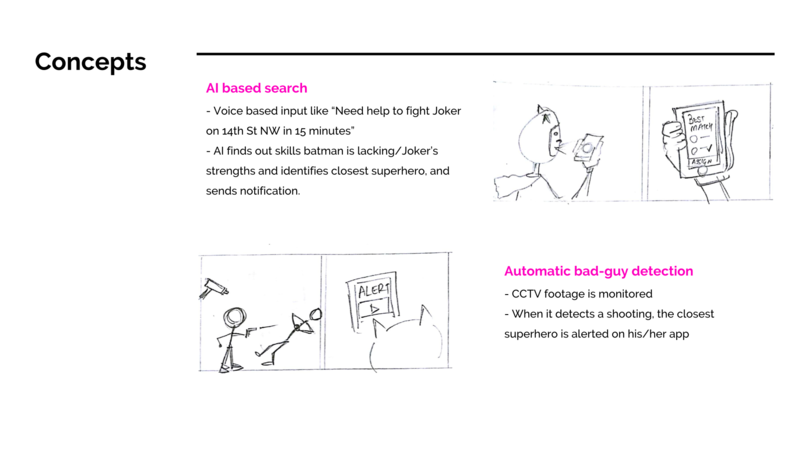 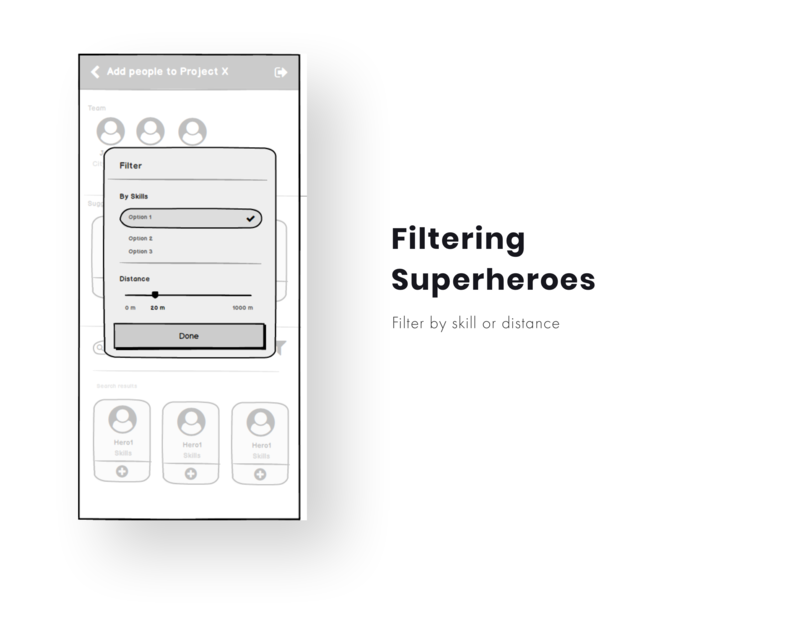 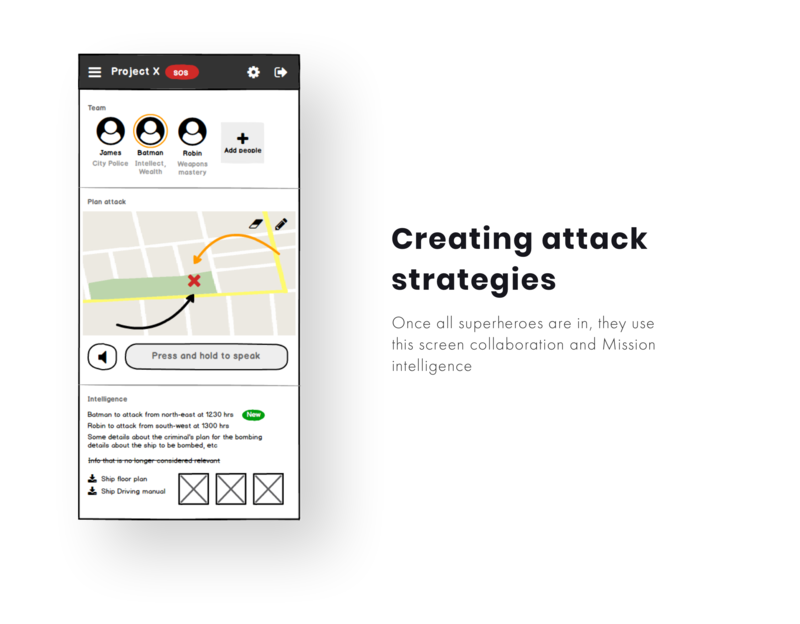 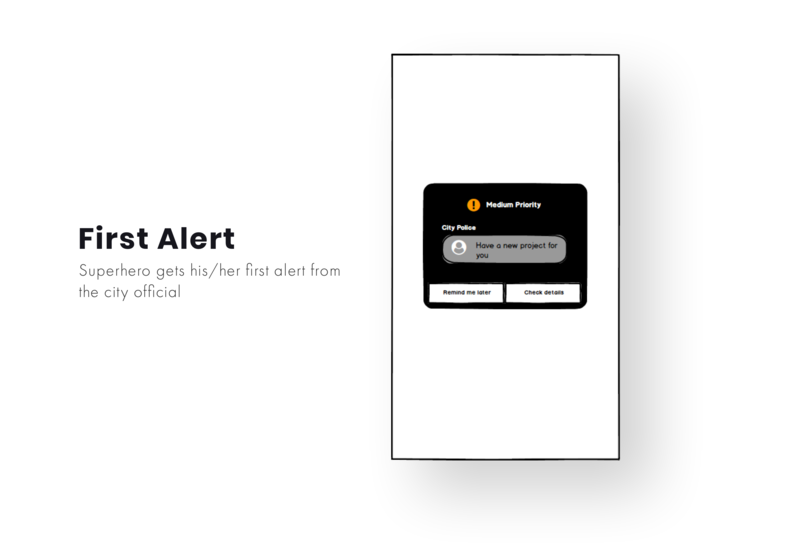 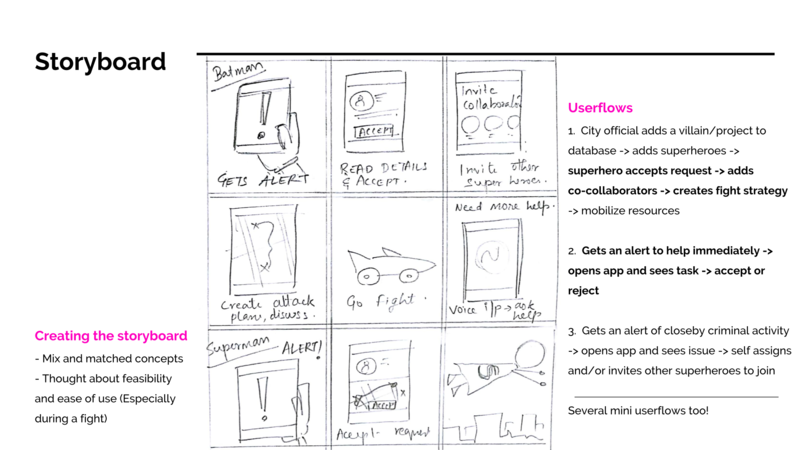 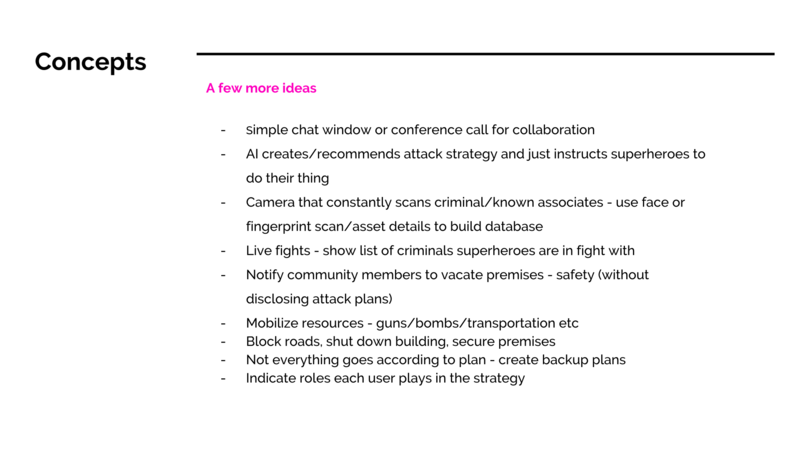 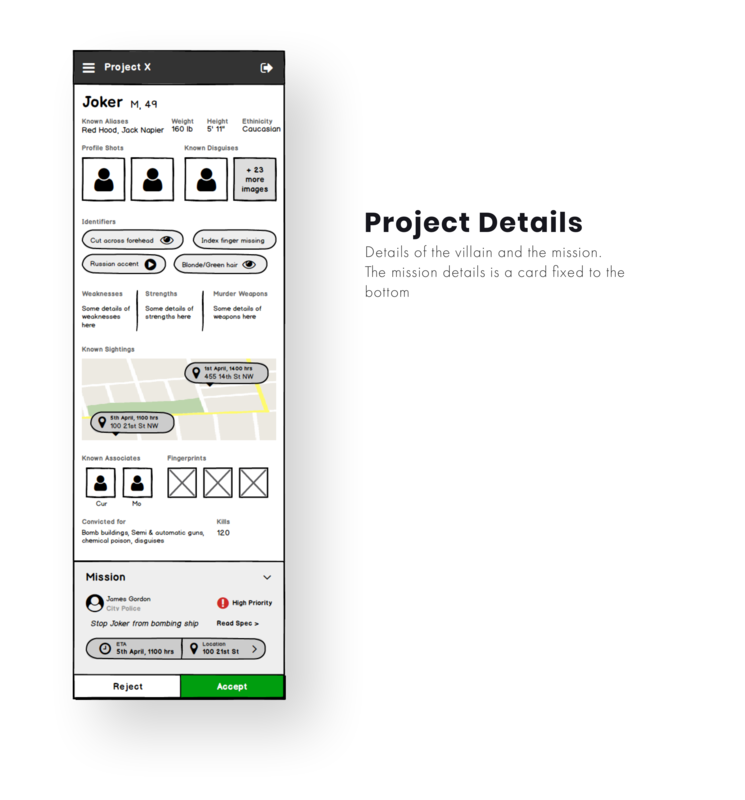 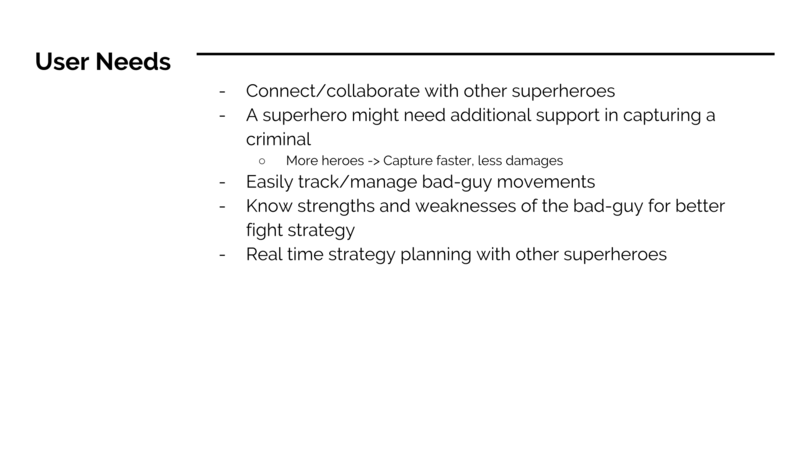 I was asked to design an app to help Batman collaborate with other superheroes and efficiently capture bad guys. 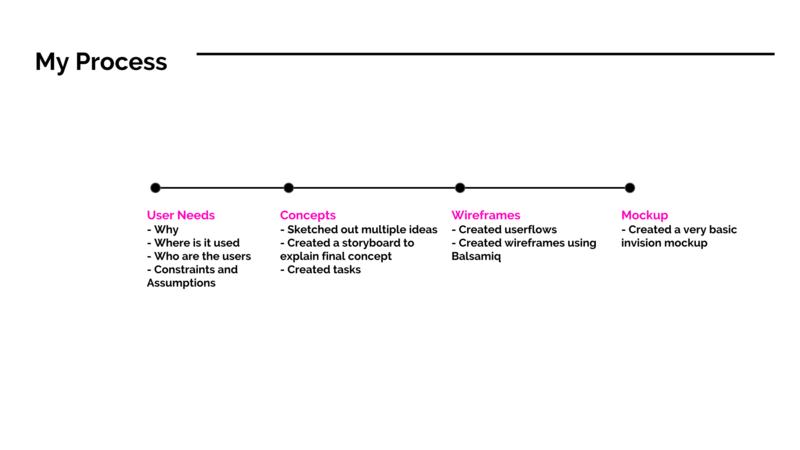 Since I made it through the interview process and received a lot of positive feedback on my work I thought it’d be useful to share my process. 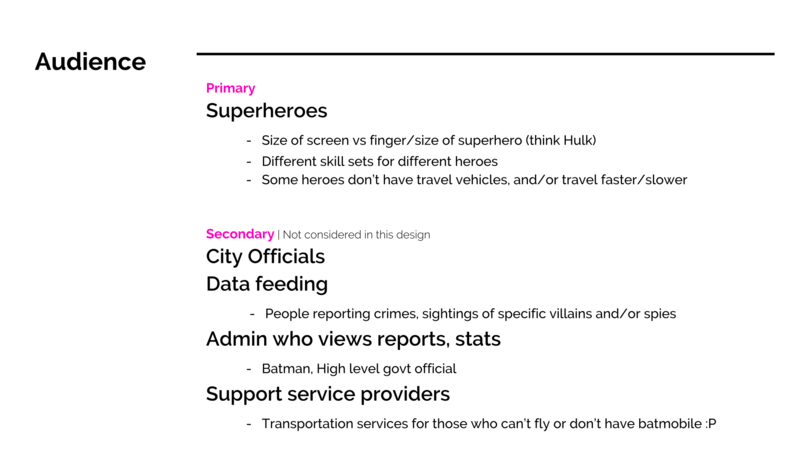 ‍After talking to his city council, Batman learns:There are groups of superheroes in every city (5-10 per city).All superheroes work with a city official (i.e. 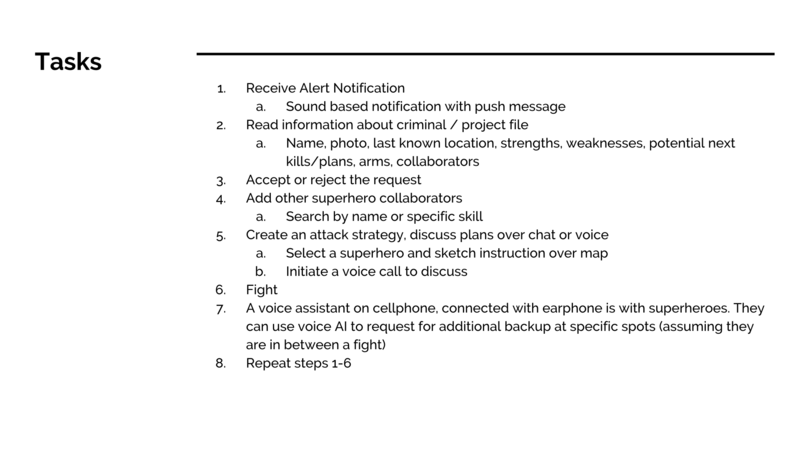 head of the police department) that calls on them for help.